The first time I saw Shibori dyed textiles, I wasn't sure how they were created as it seemed very different to the tie n dye fabric I had seen before, also the fact that it was purely made in Indigo had me intrigued enough to find out more. 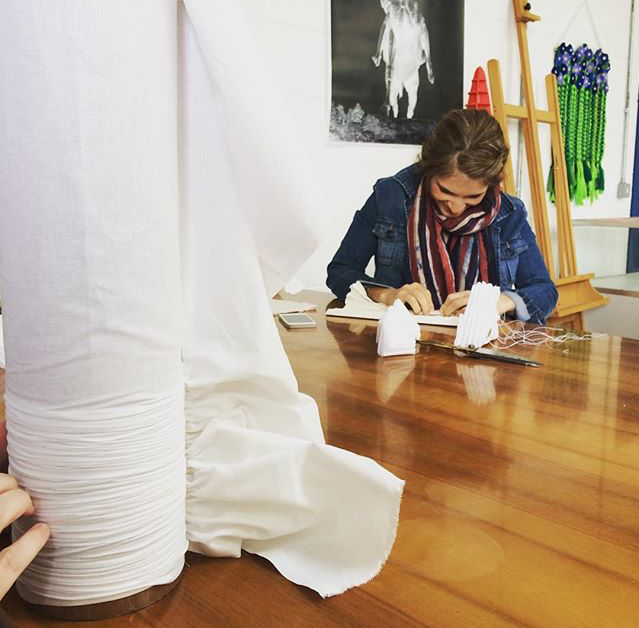 After reading about all things Shibori I was itching to take a class; a little research later I came across Mottainai Textiles and was so thrilled to know they offer classes right here in Belfast from their studio in the refurbished Conway Mill. 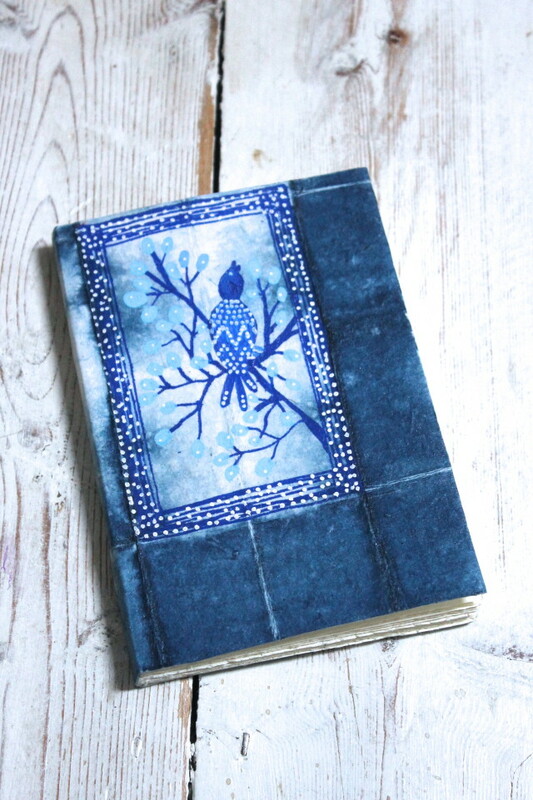 Armed with a bunch of handmade paper from India, I went along to get messy using an indigo vat! 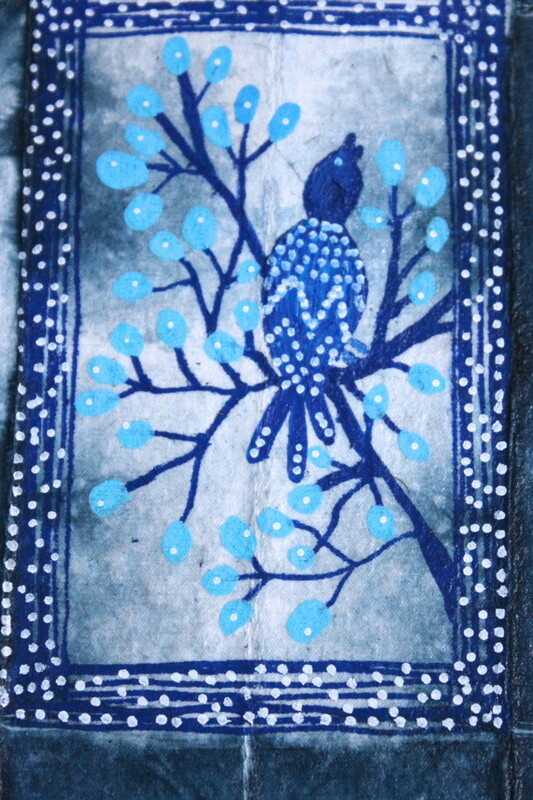 Shibori is a Japanese technique of folding, creasing and securing the shaped cloth with small stitches or even chopsticks before dipping the bundle into a natural indigo bath or Vat. The word Indigo actually comes from the Roman term Indicum which means a product of India, however the Indigo plant grows in many parts of Asia and Central America. There are so many ways to use Indigo, but the one that sticks in my mind from when I was a child is the use of it in laundry…. our Dhobi [laundry guy] used to wash our whites with a pinch of Indigo powder to make the whites brighter - 'Neel' this is the Urdu/Hindi/ Arabic word for blue and most households would have a little box of a product called Robin Neel. I grew up loving this vibrant colour. After being given a little history on Shibori, the class was then given some Irish linen and taught different folding techniques that would create beautiful patterns. 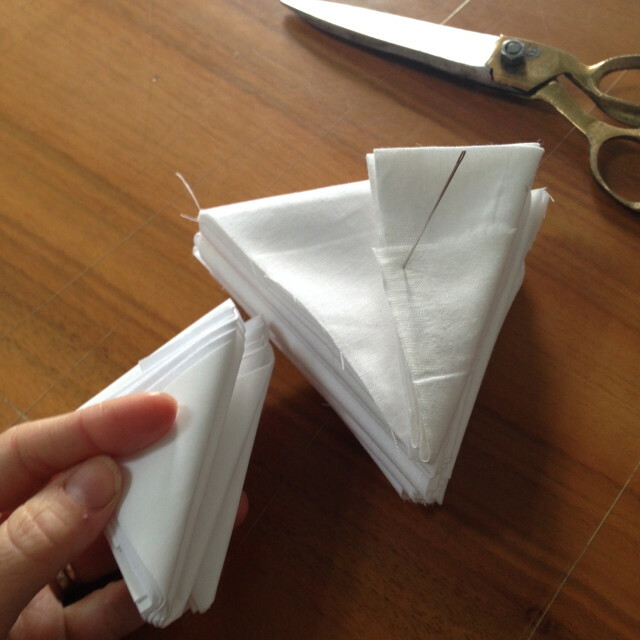 Here I have folded linen and paper into fans, concertina folds and triangles. Catherine Quinn, my teacher for the afternoon was very patient while I spent ages stitching through these bundles. Little samosa shapes ready for the vat. It took around 20 or so dips into the dye to get the vibrant Indigo colour. At first it turns yellow, then green and once oxygen hits the fabric, it develops into a delicious Indigo like magic! The gloves seemed to be a bit restrictive so I had to ditch them, but then I ended up looking like I had Smurf fingers for a few days! I advice keeping gloves on if you have nice manicured hands unlike mine! Dyed linen and paper airing out. So after ending up with loads of paper and linen Shibori style sitting in a corner of my studio for a few weeks, I finally found a little time to make some sketchbooks with some Italian Fabriano paper and a kraft paper notebook. I used the naturally created framed areas to paint in. 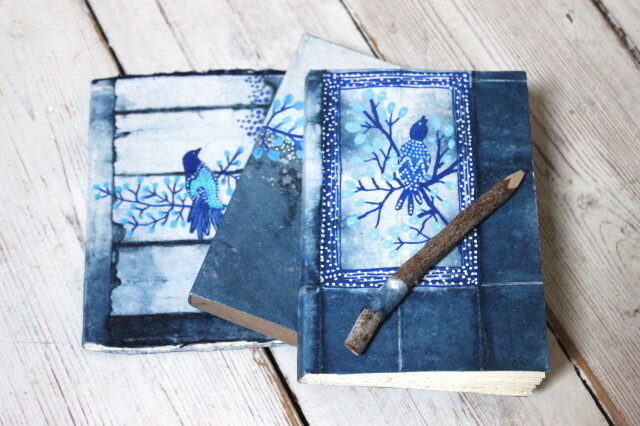 I enjoyed this shibori class so much and using the finished paper for my books that I am planning my next visit to Cathrine's studio very soon. 6x4'' Sketch book with Fabriano paper. 6X6'' Sketchbook with Fabriano paper.